Magic Touch Cleaners and Alteration is fanatical about the quality and affordable cleaning and alteration services in Downtown San Diego. We have been in the business for over two decades, and our survival and sustenance have been due to quality, affordability and timely delivery of services. We understand the fact that our clients need reliability so that our services can complement their already busy daily schedules and this is why we decided to offer professionals services to make their lives easy. Magic touch Cleaners is different. Unlike many cleaners, we do not take shortcuts. Our cleaning and alteration services in Downtown San Diego are designed to offer with comprehensive cleaning and alteration services. You no longer have to worry about lifting a finger to clean anything in your home unless you want to. 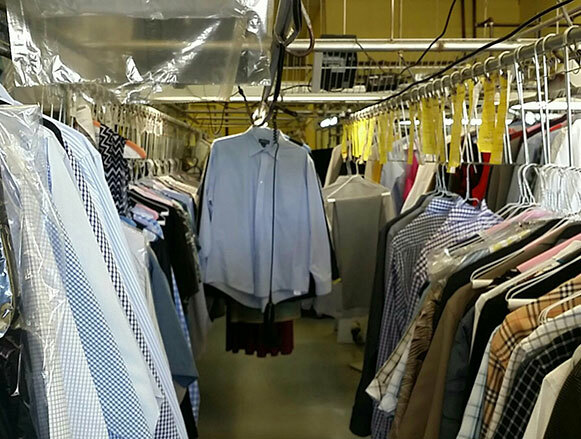 You also don’t have to contend with ill-fitting clothes when you can simply make a single phone call to us so that you have your clothes fitting just well. We have immense expertise when it comes to dry cleaning, leather and suede cleaning, wedding gown cleaning and preservation, sheet and pillow cleaning, comforter cleaning, fluff and fold, blanket cleaning, drapes and curtains, rugs cleaning and all types of alteration. Timely delivery of services – we understand that most of our clients are busy hence they need their clothes cleaned in the shortest time possible. It is always our pleasure to offer you with such convenience. Affordability – Despite the fact that we offer premium cleaning and alteration services in Downtown San Diego, we have managed to keep our rates as affordable as it can be. This is to enable many people to access quality cleaning and alteration services without breaking the bank. Superior customer care – in our company, customers are literally the kings and we are the subjects. As such, our duty is always to offer royal treatment each and every time. Guarantee on Quality – we guarantee that you will get the very best services from us at all times. This is the only way for us to provide you with real value for your money. Highly qualified professionals – we have managed to meet the needs of our clients because we employ only the very best professionals in the industry. We thus have the skills, expertise and experience needed to give you more than satisfactory cleaning and alteration services. Try out our cleaning and alteration services in Downtown San Diego and notice the difference in terms of quality and customer experience. Magic touch cleaners and alteration has established a reputation of being the preferred dry cleaning service in Downtown San Diego. Our motivation is to see you have sparkling clean clothes so that you can have the smartness and the confidence needed to go about your daily activities.